Today’s post is a bit different than my normal home posts, but it covers a topic I am very passionate about–contentment. (Cue scary background music!) In a world full of Pinterest and Instagram and beautiful bloggers sharing their beautiful homes, how does one keep the green monster of home-envy at bay? Do you truly love the home you have? 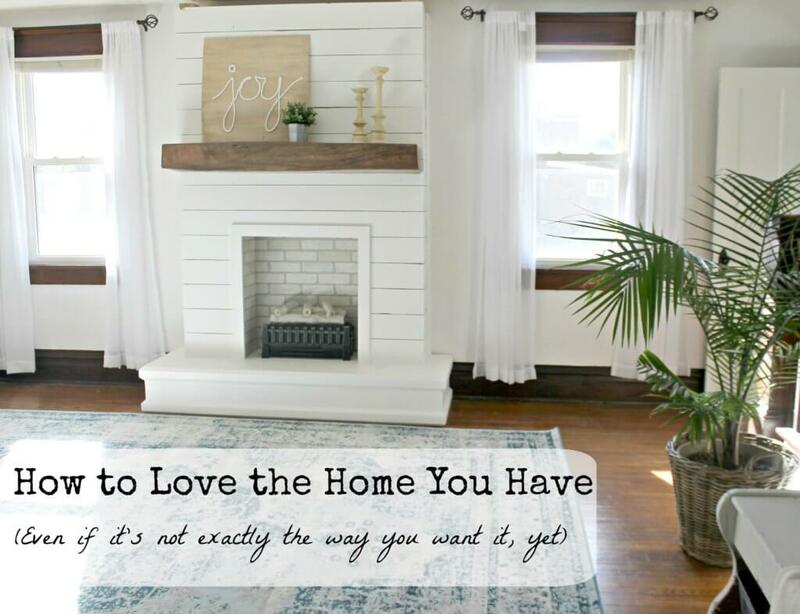 While contentment begins and ends with the state of our heart, I want to look at some practical ways to love the home you have that ANYONE can do with ANY budget. You know that phrase, “If you cant be with the one you love, love the one you’re with,”? Well that’s what we’re going to apply to our own home. How do I know it can be done? Because it’s exactly my strategy and I am nothing if not on a budget. Almost one year ago, we bought the house of my dreams. And when I say dreams, I mean my dreams, not everyone’s dream. 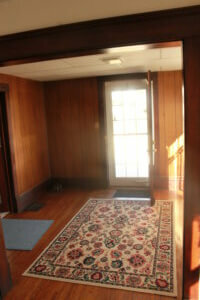 Think lots of wood paneling, old carpet, teeny tiny bedrooms and popcorn ceilings. The house had been on the market for almost a year before we snatched it up. No walls were moved, no demolition of any kind–just the most basic, cosmetic fixes were used. Are you ready to find the beauty in your home, no matter it’s current state?! These easy, inexpensive steps will have you loving your home in no time! What style makes me happiest? This step isn’t the quickest, but it is the most important. Sometimes we think we know what we like, but when we throw it all together, it kind of looks hodge-podge and not in the good way. Then we aren’t happy with what we threw together and we end up wasting even more money trying to fix it–or living with it because we feel guilty about the money we spent on it. The solution? Know thyself. Use Pinterest–said no philosopher ever, but whatever 🙂 . Before you start work on a house, a room, or a corner, visit Pinterest. Start a board just for that purpose–one you can fill up with everything that inspires you. See, often we think we like one thing, but pin for yourself 100 images, and you might see a pattern emerge. Take a week, pin everything that even remotely inspires you for your project, then spend some serious time looking over what you’ve pinned. Look for themes in your photos–colors, textures, lighting, greenery, etc and make note of everything you like. Use this newfound information to guide every decision you make in your new space. Before you buy a couch, make sure you know exactly what rug, carpet, pillows, and window treatments you envision with it. Now, this doesn’t mean that these things are set in stone or that you can’t tweak your choices as needed, but it does show that you have a vision, which means you will be more prepared to make smart décor changes and decisions. 2. Can I fix it with a coat of paint? Guys, pleasepleasepleasepleaseplease don’t overlook the transformative power of paint!! Our current home (my absolute DREAM home) sat on the market 8 months before we found it and snatched it up. 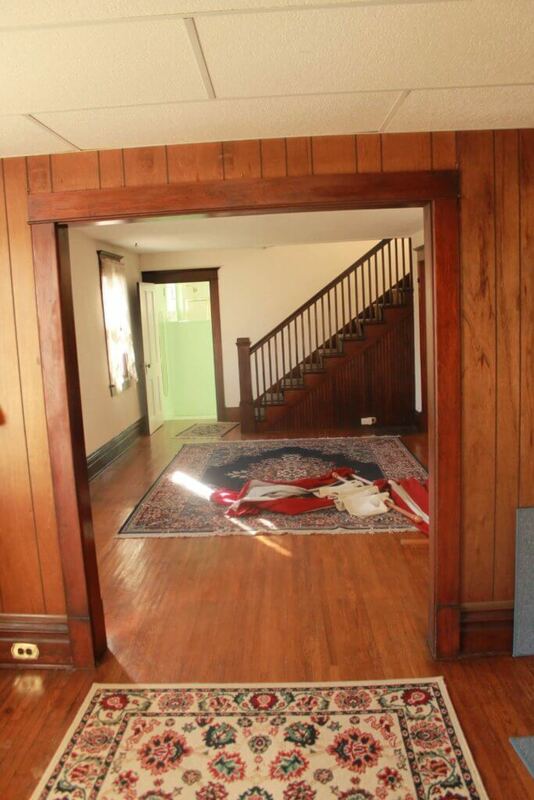 I suspect people may have been turned off by the excessive amount of wood paneling. Ripping it out and replacing it with drywall was not in our budget nor our timeframe, so we painted it. And I actually think I love it better than plain walls, anyway. See the difference? I swear that’s the same room!! Just paint. Maybe you’ve found that your particular style requires a certain color of furniture. Paint a piece you already own! Or, on the contrary, you could even strip and re-stain a piece, too! I have painted walls, paneling, doors, furniture, cabinets, trim, picture frames, knickknacks–all for the sake of accommodating my ever-changing style without spending more than the price of a can of spray paint, at times. If you just aren’t feeling something in your house, painting it may very well be the answer. There are even fabulous options like removable wallpaper, for those renting (or just commitment-phobic!). 3. Is There a Cheaper Option? I love looking at Pottery Barn catalogues. I love surfing Target’s current furniture offerings every time they send me an email. But I really don’t own much (if any) furniture from these places. I would venture to say that 85% of the furniture in my house was either a DIY project, pulled out of someone’s trashcan, or purchased for next to nothing at a thrift store. 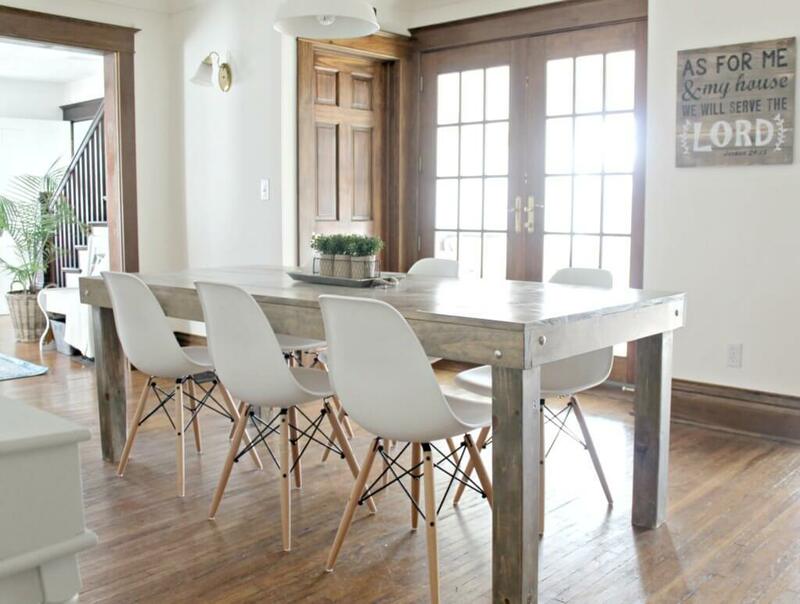 The cheapest farmhouse table I ever found online was $700, with places easily charging quadruple that amount. We made this table for less than $100. My husband was not a master wood-worker, nor did he even have experience in woodworking when he built it. Think outside the box when it comes to filling your home with pieces you love. If you make them yourself or spend weeks tracking down the perfect piece at a flea market, it will be all the more special to you when you do find it. 4. What About the Room I Can’t Change Yet? So maybe you’ve found your style, but you can’t paint or repair and there is NO cheaper option. Boy, oh boy, do I feel you on this one. How do you love the home you have then?! The real stumper in my house is our kitchen. We have spacious, high end kitchen cabinets in our home. But they are not my style at all. 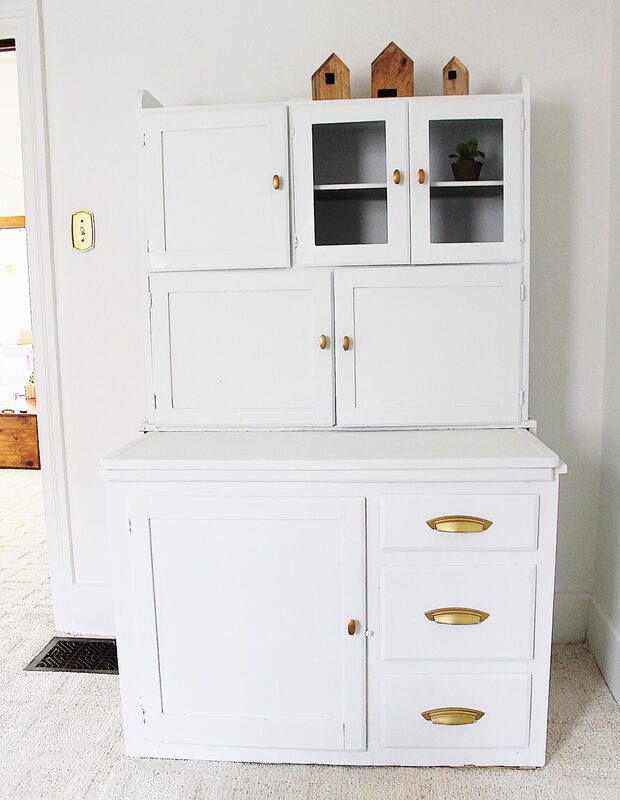 I have every detail of our kitchen makeover planned out in my head (white cabinets, white quartz countertops, brass hardware), but that’s where the makeover lives, at the moment–in my head. The cabinets are waaaaay to nice for me to try and paint them myself, and getting them painted by a professional is out of our budget at the moment. So we wait. So do I feel sorry for myself? Ab. Solutely. Not. Here’s the thing: at the end of the day, I have a roof over my head and food in my fridge. I have a wonderful family to fill my (non-dream) kitchen with, and for that I am eternally grateful. Sure, its fun to dream and drool over beautiful kitchens that I see. Some are so beautiful I can just imagine making cookies with my daughter and the fun memories we’ll make at holidays. But I’m not going to wait for the perfect kitchen to make those memories happen. 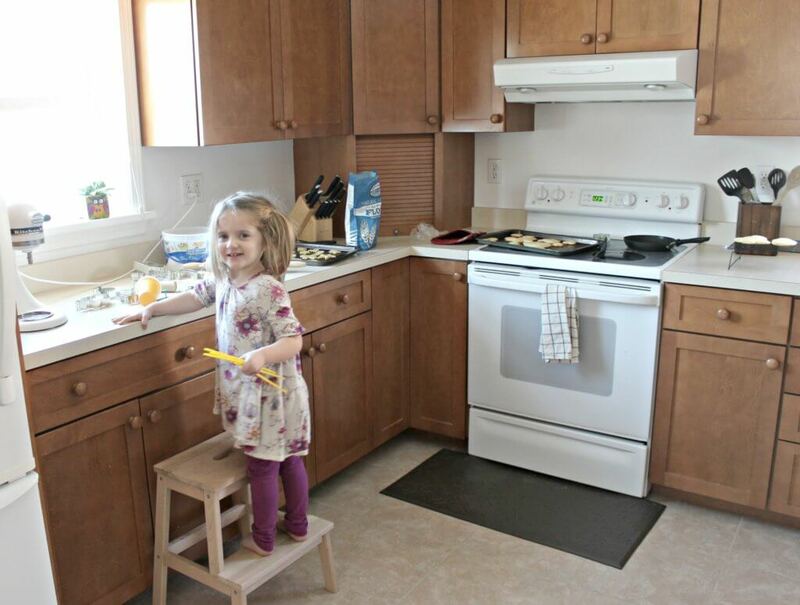 Cookies taste just as good, and we have just as much fun in our dark, somewhat dated kitchen. 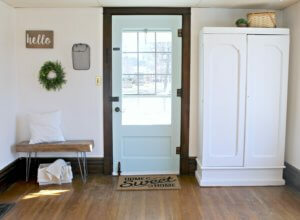 I’m honored to have been a guest in houses that are smaller than my kitchen–no tile, just dirt floors. No oven, no washing machines, and no electricity. Yet the people that filled those tiny houses were happier than a lot of people I know that own beautifully decorated homes. This is why I’m absolutely certain that we can all love–truly love– the homes we have, even if they don’t look exactly the way we wish they did. Thank you for this. I don’t think I am alone when, even as I am working on one project, I am already mentally jumping in on the next one. 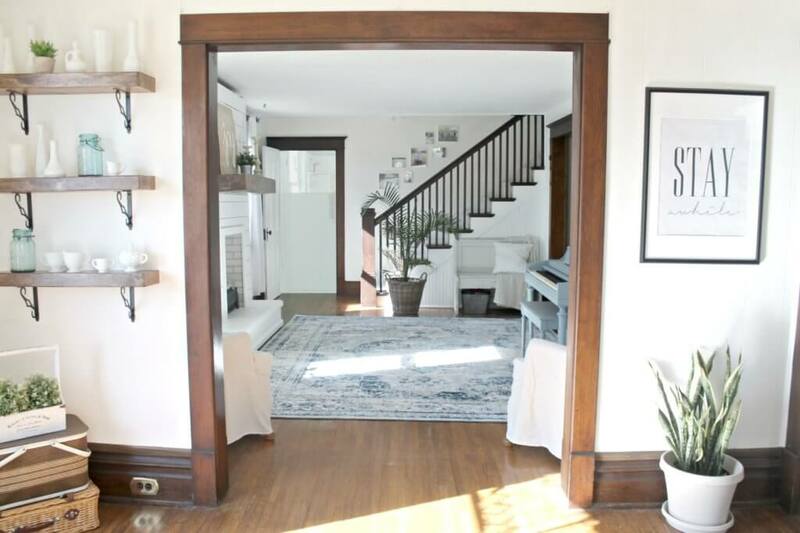 This is okay if I can sit back and appreciate what I have, but I think I am always making mental lists of, “but I need a rug, and a new light fixture, …” I know I need to sit back and appreciate what I have. Thank you for this gentle reminder. Oh I feel the same way Pam!! This is as much a reminder to myself as it is to anyone else! Thank you for sharing!